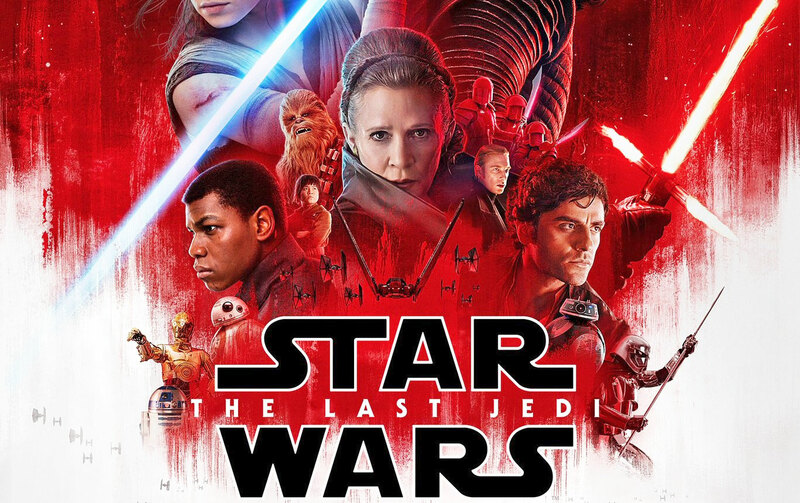 Star Wars: The Last Jedi is the second film in the Star Wars Sequel Trilogy. Click here to watch the trailer. I was pleasantly surprised with how the film started. It picked up exactly where the last finished and instead of skipping huge moments in time, we see exactly where the previous departed. With the rebellion rummaging and rallying to abandon their home, we see the action start away. I was blown away! Instead of following a main character, the director focuses on three stories. Of course they overlap but for the majority of the film, they are actually quite separate: Rey has to work on getting Luke Skywalker to help not only her but to save the rebellion; Finn wakes up from his battle injury and then infiltrates the enemies base, alongside a wonderful new character named Rose; Poe has a definite journey. I love Poe as a character. I think he is such an incredible person and his passion, determination and leadership really inspires me. It's something I defintely respect so it was interesting to see the journey he goes through in this film. He always strives to do the best for everyone and while it might not go quite to plan always, he never gives up. In a sense, he is the very essence of the rebellion. 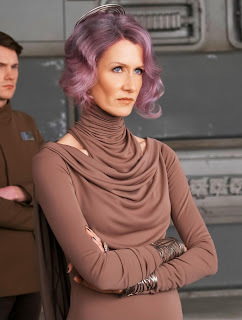 One of the characters he originally clashes with is Vice Admiral Amilyn Holdo. She's an interesting person to introduce into the story because she appears oblivious to the simple facts and what needs to be done, but then we realise that she's actually very intelligent and cares for her people. Of course, she's startlingly beautiful as well. 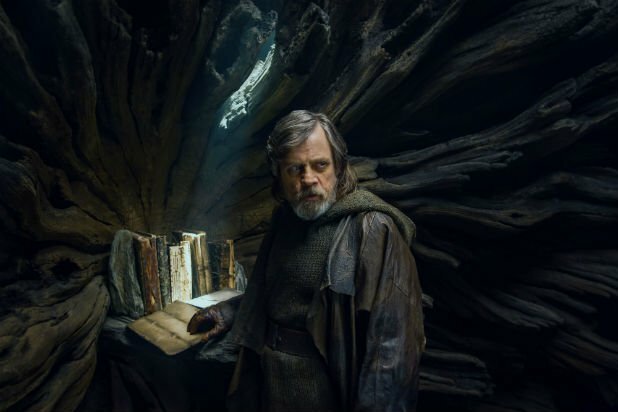 Meanwhile, Rey (who I thought would be the lead character) is across the galaxy trying to coax Luke Skywalker into rejoining the battle. Of course, I hadn't been introduced to Luke before but I think the way his story and background was enveloped into the film was really well done. It was defintely interesting. Again, he has a battle within himself which he has to overcome. The final battle is really quite lacklustre. I was really impressed with the salt dyeing the pathways. At first I thought it was to mark a runway for any support but it ended up being something else entirely. I was so impressed with Finn's bravery but then it was prevented from climaxing. I was on the edge of my seat with anticipation but then it went completely away. I defintely admire the rebellions courage when all seems lost and everything in between. I love that they continue to fight and I love that they always have a new plan. But I defintely think that this film is missing an epic battle scene. I thought the first 5 minutes were incredible but after that nothing much happened. So despite having so many things going right, I found myself bored. I found it slow and the action didn't pack the punch I expected. The first absolutely blew my mind and so perhaps that's what I was comparing it to but after reviews saying it was "the best Star Wars ever! ", I was expecting greatness. Have you watched it yet or do you plan on? Let me know what you think of it! In memory of Carrie Fisher, always a princess.